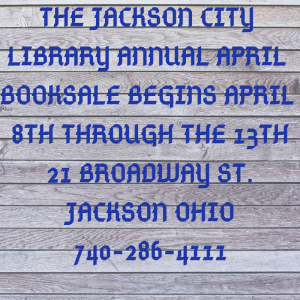 The Jackson City Library will have their April booksale. All books to be sold for donations only. 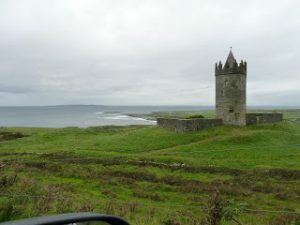 Celtic Storytelling with ballads, folklore, and superstitions! by Susanna Holstein (Granny Sue) and Judy Jarowski at the Serenity Coffee House in Vienna, West Virginia. Open mic will follow. Bike Path, 30 Home St.
Mama Walks Wednesday, April 10th Meet at the Athens Public Library 5:45-7 pm Join Birth Circle board member Leanne and her baby for a casual stroller walk on the bike path. A great chance to meet new moms, socialize, and get a little fresh air! Rain location – the Mall on State St.